My name is Nick and I am a 22 year old from Ottawa, Canada. I came up with the idea of Gridfiti years back when the concept of “what’s in my bag” started to surface the internet. I became so interested in the different items that people carried. So I set out to create a side project to showcase the items, workspace, and lives of creatives and creators worldwide. Here is my everyday carry and creator essentials. These items helped me through college everyday. I would always bus for an hour to school and an hour back from school. I used these essentials while I travelled from Canada to the United states. These items are always with me and I can rely on this gear to help me finish tasks and get things done. I bring this with me everywhere. Whether it’s school or travels, the Herschel backpack is what I rely on to carry my camera, laptop, accessories, etc.. For my camera, I use something called a Koolertron Safe Drawstring Closure, which is a padded bag that holds both my lens and camera body within my backpack. Super convenient and it makes sure that my camera gear does not get damaged when on I’m on the go. I probably have a total of 7 of these New Era 39thirty baseball caps. These are my staple and after many hat purchases, nothing compares to the fit and quality of these hats. I carry around a hat with me pretty often and tend to buy new ones when I’m in a new city. This camera is arguably my best investment. I won’t lie, when I dropped over a thousand dollars on the camera it hurt, but it was worth every penny. I bring this camera on all of my trips and it is used as my creative outlet. Every time I strap the camera around my wrist, I have a new perspective to what’s in front of me and my creative juices begin to flow as I think of ideas for things to capture. Portability was the main reason why I got the A7 and I’ve captured more footage because of it. I owned the Canon 70D before this, but I felt like it was too bulky, so I switched to the A7 and never looked back. The capability to use an adapter and connect older lenses such as the Minolta was also a major benefit. The cost for lenses are pretty cheap and there is a sense of reward when I go out to an old camera shop and find an old lens that I can put to good use again. Love the versatility of this lens. This is the kit lens for the Sony A7 and I find myself using this lens more than anything. I typically shoot with a wider angle at around 28mm, so this lens works perfect, but it also allows me to zoom in and get crisp shots when needed. Bought this lens for about $30 off of Kijiji (a Canadian Craigslist) and I cannot complain. Bokeh is incredible and allows me to get some cool portrait shots and gives me the ability to shoot in lower lights, while reducing image noise. Bought this for around $100 around Boxing Day about a year ago and it never fails to impress. The sound quality is incredible for its size, battery life is long, and it’s a durable speaker that is reliable inside and outside the house. I carry this wherever I travel and it beats any hotel or AirBnB speaker 99% of the time. Currently in the middle of reading this book. It has been recommended to me by many individuals and it has not disappointed yet. Super well written and it really gives you a new perspective on life and business if that is of any interest. If you are interested in these hoodies or their clothing line, I would highly recommend you support the brand and you can find their stuff here. I’ve gone through so many carabiners over the years, and they have always been similar looking with decent quality depending on how much you are willing to spend. I came across a SVORN carabiner and immediately picked one up. The design and quality of this carabiner is incredible and I always carry it around to hold my keys. I highly recommend one of these carabiners and if you were interested in picking one up, they can be found here. If there was one item that I couldn’t live without, it would probably be my Macbook. This is where all the creating, learning, and execution happens. Went from a regular Windows laptop to a Macbook a few years back and I haven’t looked back. It’s reliable and allows me to get my work done no matter where I am in the world. The most portable tripod I’ve owned and I can fit this in any bag I carry. The best thing about the Joby is the size since I don’t need to worry about it taking up any space, especially when I am constrained while travelling. This is a lifesaver. If you own an iPhone, you know the struggle of constantly running out of battery power and this Aukey powerbank has saved me so many times when my phone dies and I’m halfway home. I own both the 20 000 mAh and the 5 000 mAh packs that Aukey sells and I love them. Easy to carry around and you’ll thank yourself when you forget to fully charge. I always have this device on me and I use it to catch up on my social feeds and for music. What are your three favourite pictures that you’ve taken? 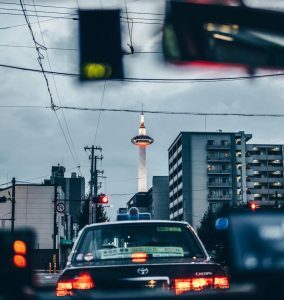 This was a shot of the Kyoto tower out of my cab during my Asia trip in August (2017). One of my favourites because I was just testing my camera settings and happened to take this shot by accident and it turned out well. 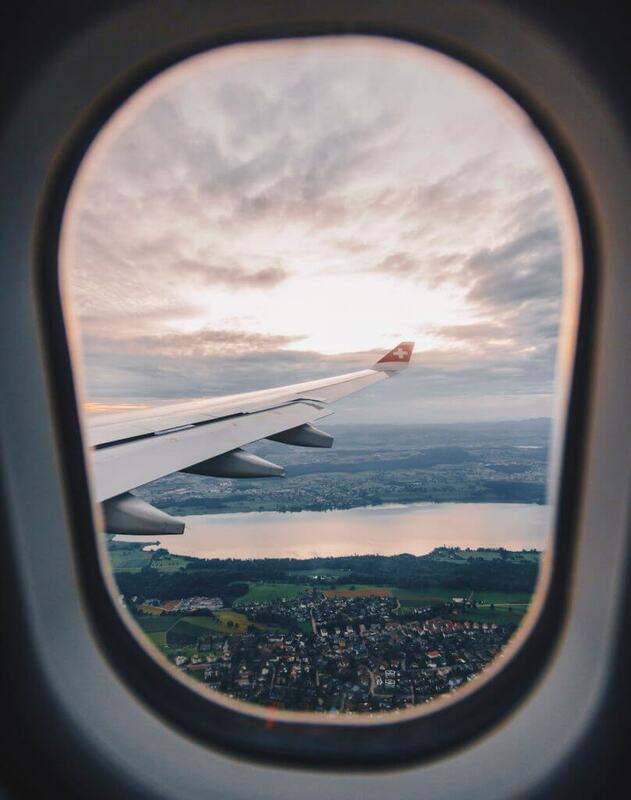 This is a shot out the window before the 16 hour layover in Zurich, Switzerland. This was my grad trip with some of my high school buddies and this was our first big stop. In terms of visuals, I’m super inspired by the work of Sam Kolder. His storytelling, colour grading, and the overall quality of his work for brands and for himself and incredible. 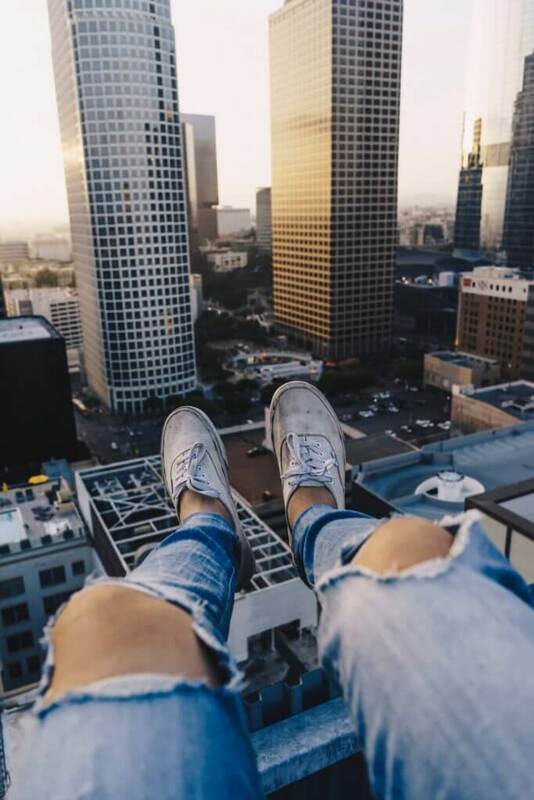 Justin Escalona is another young content creator that has inspired me. He used to create amazing daily videos for 100 days in a row and so his work ethic was inspiring for me. What are you trying to achieve with Gridfiti? 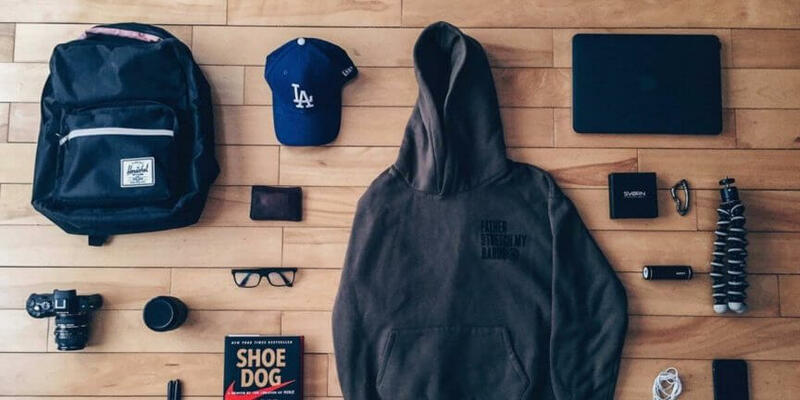 My goal for Gridfiti is to create a platform for creators to connect and share their work, while showcasing their everyday carry and the items they use to achieve their project and life objectives. As a creator, I’ve always been interested in the workspace, and the daily routine of other creatives. I think others would be too. What advice do you have for the readers? Create and improve consistently. I am in no place to be giving out advice and I myself need to be doing this more. But, the best opportunities that have happened to me thus far, have been the times where I was creating even when I didn’t feel like it. Thanks for reading my post. I’m going to be doing more of these interviews and everyday carry interviews with creators worldwide and hopefully with local influencers in video format. 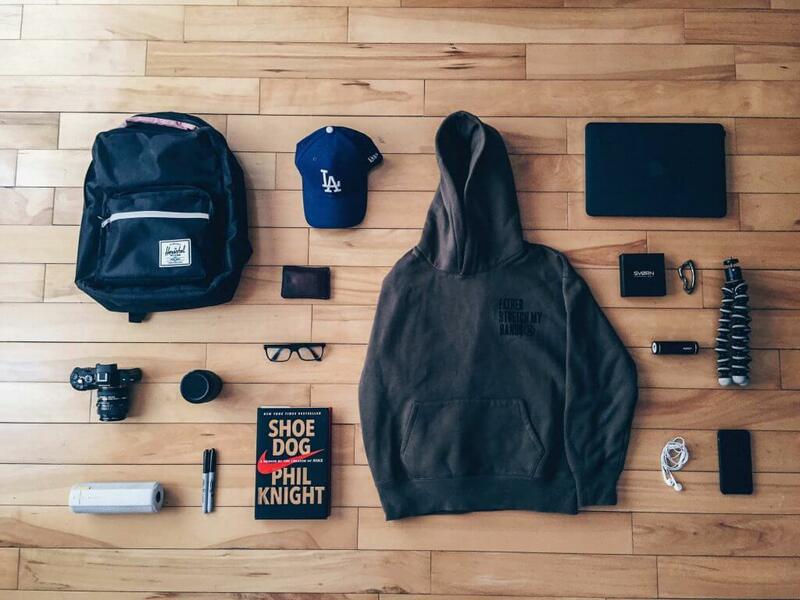 Check out my recently updated tech bag essentials post to see what I mainly carry around.